Money matters the most. Be it an actor, a politician, a businessman, or a comedian, everyone wants to be the richest man in the world and amass as much net worth as possible. Luxurious cars, expensive real estate, a private jet is, in fact, everyone’s dream. Well, today, we have brought to you top five wealthiest comedians in the world. Further, we will also discuss how much they are paid as a comedian; their annual salary and net worth. So, let’s zoom to know the top five highest paid comedians in the world. At number five stands Ellen DeGeneres with an estimated net worth of $200 million. Ellen is an American Comedian, actress, television host, writer, and producer. She was born on January 26, 1958 (age 59) in Metairie, Louisiana, U.S.
She started stand-up comedy performing at small clubs and coffee shops and is currently famous for her show The Ellen Show. Besides, the female comedian, has also starred in sitcoms like Ellen and has appeared in movies like Mr. Wrong, The Love Letter, etc. She currently earns an annual salary of $5 million. Moreover, she is also the recipient of some renowned awards like Academy Awards, Grammy Awards, and the Primetime Emmys. She has won total of 13 Emmy awards and 14 People’s Choice Awards. At number four is Adam Sandler with an estimated net worth of around $300 million. Adam Sandler is an American comedian, actor, screenwriter, film producer, and musician. Sandler was born on September 9, 1966 (age 51) in Brooklyn, New York, U.S. He is well known for his comic timing. The actor, Sandler, has appeared in many comedic roles in movies like The Wedding Singer (1998), Big Daddy (1999), and Mr. Deeds. Adam is currently married to his long-term girlfriend Jacqueline Titone, an actress. The two got married on June 22, 2003. From their relationship, they have two children, a daughter Sadie (born 2006) and, a son Sunny (born 2008). Adam is recorded to have charged a salary of $15 million for his role in movies. 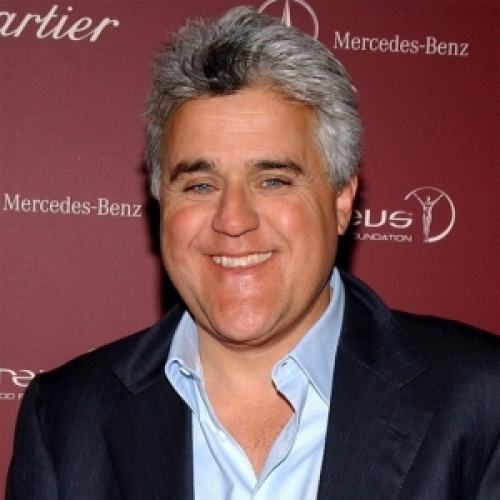 The 67-years-old, Jay Leno, is the third richest comedian in the world with an estimated net worth of $350 million as in May 2017. He is an American actor, comedian, television host, and Philanthropist. Leno was born on April 28, 1950 (age 67), in New Rochelle, New York, United States. He has hosted the shows like The Jay Leno Show, NBC’s The Tonight Show with Jay Leno, etc. He is currently married to Mavis Leno. The couple is married since 1980, but they have no children so far. As per the sources, he earns an annual salary of $20 million-$30 million. Cosby is the second richest comedian in the world with an estimated net worth of $400 million. Multi-talented, Bill Cosby is an American actor, stand-up comedian, musician, and author. He was born on July 12, 1937 (age 80), in Philadelphia, Pennsylvania, United States. He is known for his children’s television series The Electric Company. His other work includes The Tonight Show, I Spy, etc. In addition, Bill is currently married to wife Camille Cosby. The two got married in 1964. Besides, Bill is the recipient of several awards including a number of Grammy awards. Jerry Seinfeld is the richest comedian in the world with an estimated net worth of around $900 million. He is an American comedian, actor, writer, producer, and director. The comedian was born on April 29, 1954 (age 63), in Brooklyn, New York City, New York, United States. He is popular for his work in sitcom Seinfeld. His other work includes The Marriage Ref, The Tonight Show Starring Johnny Carson. Jerry is currently married to Jessica Seinfeld. The couple got married in 1999 and has three children together from their relationship. Jerry’s annual salary is in millions. Check the link to know the detail.